Leadership Asheville, a program of UNC Asheville, announces the selection of Class 35. With 52 participants from the private and public sectors, the class of 2017 (LA 35) is now beginning its work in collaborative community leadership. 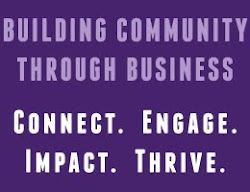 Leadership Asheville promotes the development of leadership skills through experiential exercises, site visits, discussions with community leaders, and planning and completion of hands-on projects in small teams, in partnership with community service organizations. LA 35 will be engaged in projects with the following organizations: Asheville Humane Society, Council on Aging of Buncombe County, Junior Achievement, Literacy Council of Buncombe County, MountainTrue, RiverLink, Salvation Army Boys and Girls Club of Buncombe County, UNC Asheville Office of Sustainability, and Western Carolina Rescue Mission. Those registered for the Leadership Asheville Class of 2017 (LA 35) are: Gene Adams, Insurance Service of Asheville; Scott Barnwell, City of Asheville; Erica Bell, CFRE, nonprofit and fundraising consultant; Michael Bridges, TD Bank; Rebecca Brothers, Asheville Housing Authority; Matthew Bush, WCQS; Kevin Campbell, SynTerra Corporation; Rebecca Cecil, The Biltmore Company; Laura Collins, Asheville Area Habitat for Humanity; Molly de Mattos, The Matt and Molly Team; Faith Doyle, Oppenheimer & Co.; Susan Dunlap, Mission Health; Amanda Edwards, A-B Tech Community College; Murphy Fletcher, McGuire, Wood & Bissette; Jensen Gelfond, Asheville Digital Lifestyle; Chip Gingles, Waste Pro USA; Lindsay Griswold, Rotary International; Amy Hatmaker, Integra Benefit Advisors; Kerry Heyer, Biltmore Farms; Cheryl Jefferson, U.S. Forest Service Southern Research Station; Steven Lee Johnson, Sitework Studios; Ursula Jorch, Jorch Consulting, LLC; Kerry Keihn, Krull & Company; Annie Korenjak, New Belgium Brewing; Zachary Lamb, Ward and Smith, PA; Alvin Malesky, Western Carolina University; Michael Manning, First Bank; Keith McDade, Lenoir-Rhyne University; Stacey Millett, UNC Asheville; Nikki Mitchell, Asheville Radio Group; Jill Moffitt, UNC Asheville; Patrick O’Cain, Gan Shan Station; Hannah Randall, MANNA FoodBank; Mitzi Reed, First Citizens Bank; Patricia Rosenberg, City of Asheville; Bill Russell, State Farm Insurance; Jake Sadler, Woodstone Financial, LLC; Aaron Schnurbusch, ABCCM; Nicole Siegel, Avenue M; Timothy Sinatra, Eliada Homes; Leah Singleton, Sisters of Mercy Urgent Care; Julie Smith, Beverly-Hanks & Associates; Amanda Stratton, Buncombe County; Noel Swartz, Johnson Price Sprinkle PA; Marcia Thacher, BorgWarner; Jill Thompson, Western Carolina University; Danielle Tocaben, YMCA Blue Ridge Assembly; John Toth, Roberts & Stevens; Melissa Wiedeman, YMCA of Western North Carolina; Angela Wilt, Asheville Humane Society; Lauren Woodard, Bloom Counseling & Consulting; and Matthew Wright, Mission Health. For more information, visit leadershipasheville.unca.edu or call 828.255.7100.